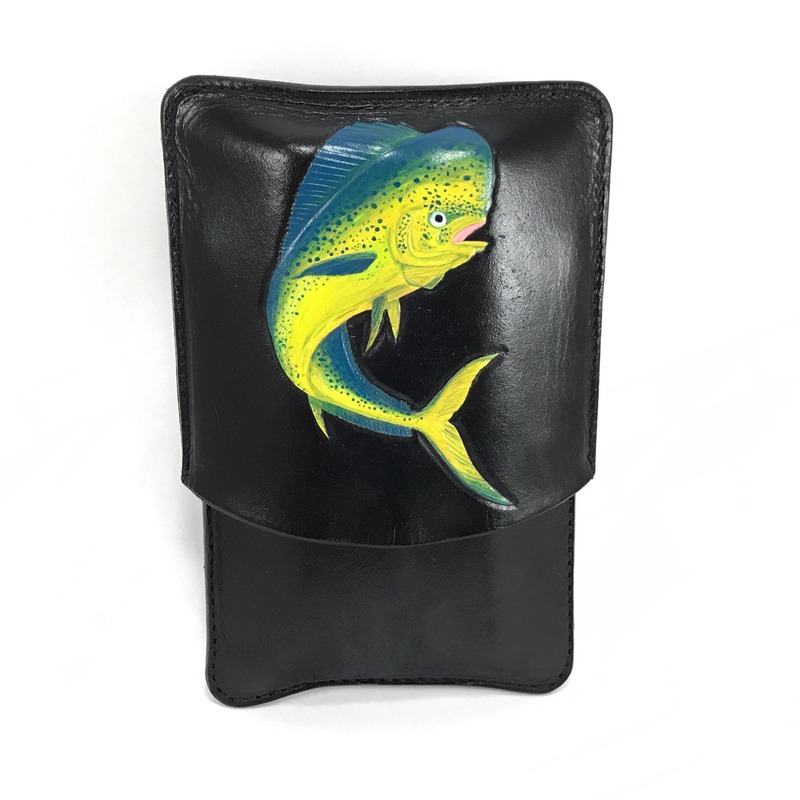 This is a made to order leather telescoping case featuring a very colorful Mahi Mahi hand tooled and hand painted design. The case ordered will be very similar to the pictured case but not exact as it is handmade and variations occur. I use vegetable tanned leather hand cut, hand and machine stitched with a saddle stitch, hand carved, and hand dyed and finished with eco friendly finishes. The case will hold up to three 64 ring size cigars up to 9" long or four 50 ring gauge cigars. -Resistance against tobacco bugs that ruin your precious cigars. -The classic spanish cedar humidor smell that adds to the aroma of your case and cigars. -Lined case on the bottom half that touches cigars. Please allow at least 2-4 weeks for order to be complete and shipped. I have my iPhone with the Etsy app on my hip at all times and will notify you as soon as things are complete.